The Federal Airports Authority of Nigeria (FAAN) has notified airlines of the withdrawal of its services to Osubi Airport, Warri, Gombe Airport and Murtala Muhammed Airport 2(MMA2) over alleged indebtedness. Arik Air’s Communications Manager, Mr Adebanji Ola, confirmed the development in a statement issued in Lagos on Saturday. “In a Notice To Airmen (NOTAM) issued on Dec. 8, FAAN stated that it will be withdrawing Aviation Security, fire fighting and rescue operations from Osubi, Gombe and MMA2 from midnight of Dec. 9. “Consequently, Arik Air will be suspending its flights to Osubi Airport, Gombe Airport and move Port Harcourt flights out of MMA2 from Dec. 10, until further notice,” Ola said. He advised Warri passengers to use Benin Airport as alternate while Gombe passengers are to use Bauchi Airport as alternate. “All Arik Air flights to Port Harcourt Airport, Omagwa, will as from the same date operate from Murtala Muhammed Airport Terminal One otherwise known as General Aviation Terminal (GAT). “Arik Air regrets any inconvenience the closure of the three airports may cause its esteemed customers. 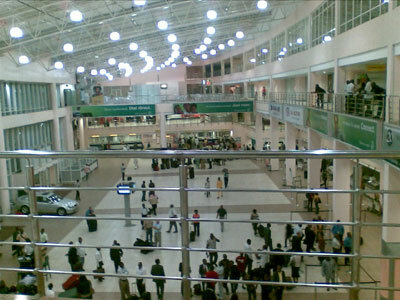 “The airline hopes the issue between FAAN and the airport authorities will be resolved soonest,” he said. MMA2 is being operated by BiCourtney Aviation Services Limited, owned by Dr. Wale Babalakin. FAAN claimed it is owing it N3.9 billion since it commenced operations on September 8, 2007. FAAN claimed the money was for the provision of electricity, rent and conference and hotel and the five per cent remittance as agreed in the contract. In a letter addressed to the Chief Executive Officer (CEO) of BASL, in November, FAAN gave the breakdown of the indebtedness as at July 31, 2018 as N1.4 billion for provision of Aviation Security (AVSEC), another N143 million for Fire/Safety Cost, N2.1million for marshalling and N1.9billion for management cost.